Offered at Lawrence General Hospital and the MVHS Imaging Center. 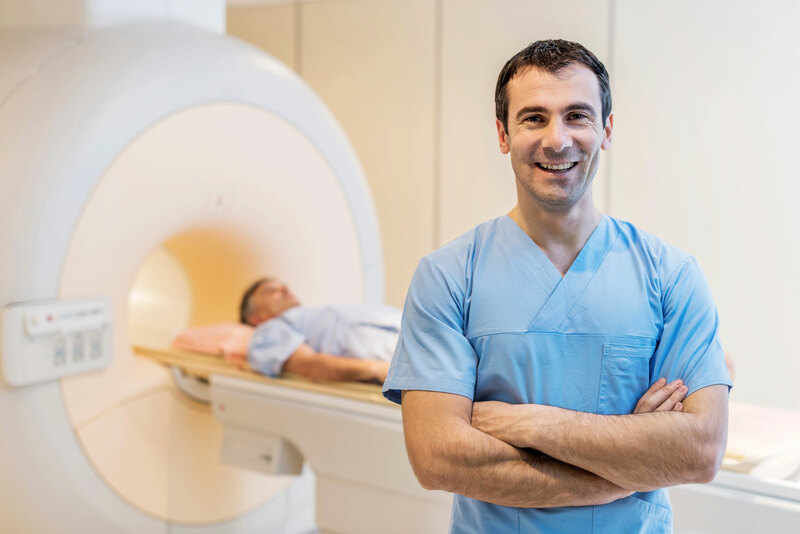 Doctors use magnetic resonance imaging (MRI) to find diseases or abnormalities in the body without using X-rays. MRI uses a magnetic field and radio waves to create detailed images of the body. MRI is non-invasive and painless and most scans require fewer than sixty minutes to complete. During an MRI scan, you lie on a cushioned table that moves into the scanner. An injected contrast agent may be used. MRI contrast agents rarely cause allergic reactions. Arrive 15 minutes early to complete paperwork. Inform your referring physician if you have ever experienced claustrophobia. If necessary, your doctor can prescribe a mild sedative before your appointment. If you receive medication, bring someone to drive you home.